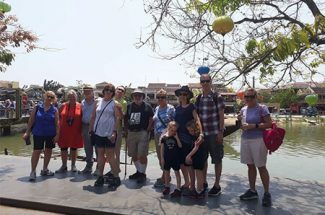 The five destinations often come up in tourists’ mind when they first dream of their Vietnam tour package are Hanoi, Halong Bay, Hue, Hoian, Ho Chi Minh City. However, Vietnam is not just about cities and beaches, it also possesses some spectacular mountain ranges. 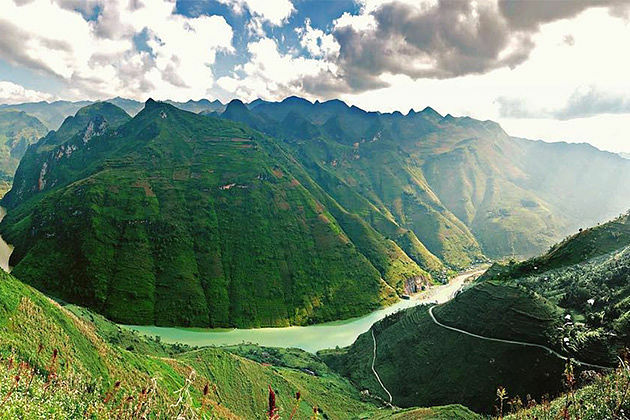 There is a fact that the vast mountainous area in Northern Vietnam takes up a third of the country’s total land area. 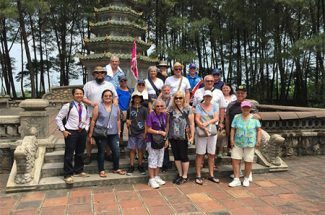 Tourists taking a Northern Vietnam tour can explore the authentic culture of various ethnic groups while staying away from the crowds or go on exciting adventures while gazing at superb rugged mountains. 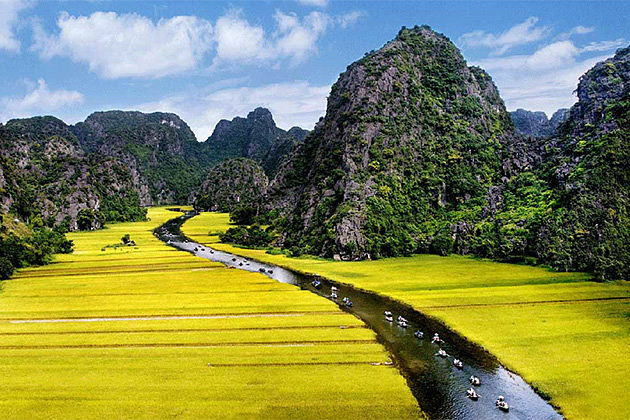 Choices are plenty, Indochina Tours recommends 7 best places if you want to plan a trip to Northern Vietnam. What to Expect in Northern Vietnam Tour? Being a region of contrasts – from the refined colonial architecture in Hanoi to the dramatic tiered landscapes in the hills around Sapa and the sublime beauty of the karst islands in Halong Bay. 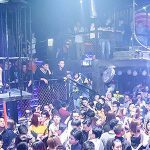 The north of Vietnam offers wonderful opportunities to meet indigenous folk in the mountains as well as live it up in one of Asia’s most exciting cities in Vietnam’s capital Hanoi. 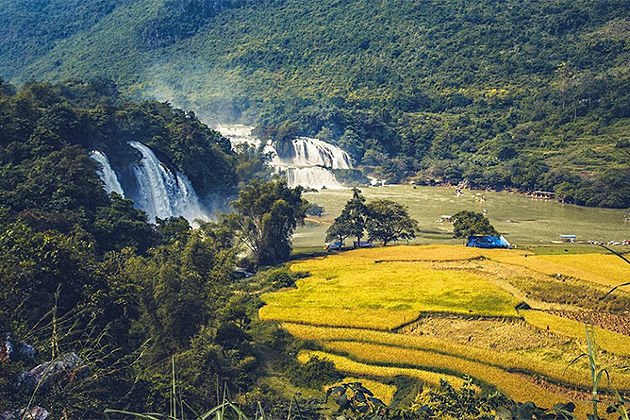 Together with the delights within its own boundaries, the north of Vietnam shares borders with Laos and China which makes the combinations between three countries are possible for travelers wanting to take in more than one destinations in the region. 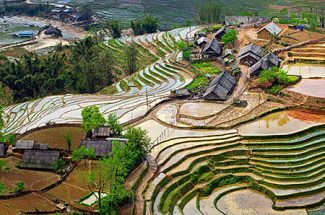 Additionally, recognized as one of the cradles of rice cultivation, North Vietnam is the crucial part of Southeast Asia. Its ethnicity tapestry is reflected in its architect, artwork, cultural scenes and lifestyle. It is also home to a diverse group of people which is abundantly affordable, accessible and authentic. Pack your bag and get ready to be inspired by characteristic conical hats, colorful food carts, an enchanting brew of tea and bamboo chopsticks in a tour to Northern Vietnam. 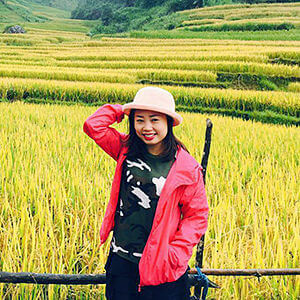 The best time to take a Northern Vietnam tour will not only depended on the weather but also related to the rice harvest cycle because it will have an impact on the local scenery. 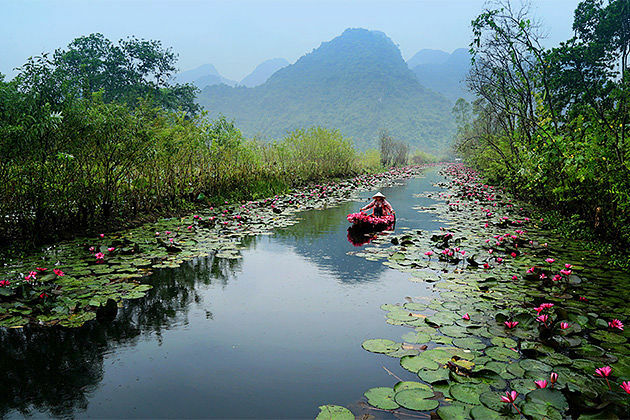 Also, the preferred time to visit Northern Vietnam will ultimately come down to the reason for visiting. A visit to the capital of Hanoi is typically acceptable at any time of the year. The weather will be mostly hot and humid in the summer months while in the winter it is mostly cool and dry. 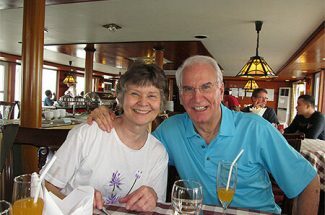 For tourists in search of relaxing overnight cruise on Halong Bay, the best favorable times are likely to include March to May, September, and October when the weather is bright with clear skies and warm days. 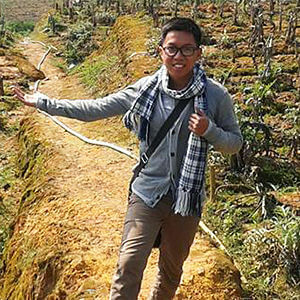 A trip to Sapa during the month of June is great to see more of the terraces at the planting stage. 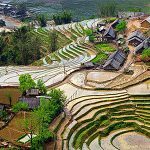 However, for travelers wanting to see the rice terraces at their colorful best, a tour of the northern countryside that takes place from August to October is certain to appeal. Although the temperature will rise in the summer months, the mountainous regions in the north are still more bearable for tourists to explore. The heart of Vietnam, the city of peace, the 1000-year-old capital. Whatever you named it, Hanoi will definitely leave you impressed. Located just 45km away from Noi Bai International Airport, the city should be the first destination for your Northern Vietnam tour. As charismatic as they are accessible, no neighborhoods are the same in Hanoi. Visitors will immerse in vibrant pockets of local life, home to unparalleled food scene and intriguing culture. Strolling around the dynamic downtown of Hoan Kiem district and you will find traces to Hanoi’s rich heritage, from cross-generation businesses and wonderful food carts to sacred pagodas and stunning age-old French buildings. Water puppet theaters, handicraft villages, war museums, and many other historical sites will not disappoint any art and history lover. Grab a signature cup of egg coffee, sit back in an artsy café and watch the world goes by, travelers have won an incredible chance to experience Hanoi in the locals’ way. Wondering about the cultural diversity of Northern Vietnam? Pack your bag and head to Sapa, Lao Cai Province, Vietnam. Apart from the iconic trek to Mount Fansipan, named “The rooftop of Indochina”, a visit to Sapa goes further than just sightseeing. Savoring the beauty of cloud-capped mountaintops soaring out of ever-green valleys is a fascinating opportunity to experience first-hand the uniqueness of Sapa’s 24 ethnic minorities, their own language, cuisine, and lifestyle. 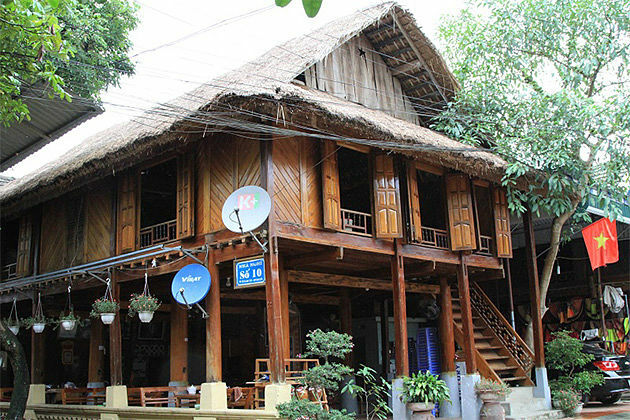 Drop by a small village, for example, Ta Phin or Lao Chai, to enjoy the warmth of Sapa hospitality. You can expect to learn about the legends and the myths, the way people have conquered tough climate and steep mountains to form neat rice terrace and build beautiful villages. 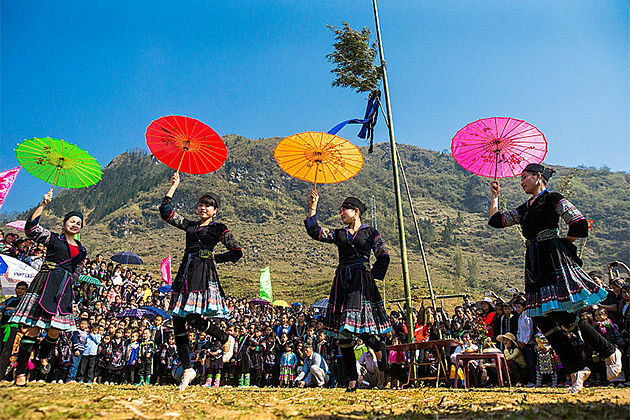 Tourists will also be amazed by an entertaining performance of music and dance or a cooking lesson that provides further insight into the unique culture of locals in your Northern Vietnam tour. Recognized by UNESCO as a world’s natural wonder, Halong Bay, among the top five Vietnam holiday destinations, has become an icon for Vietnam’s tourism. The bay offers plenty of choices allowing you to be as busy or chilled as you like. A heavenly setting of gorgeous mountains scattering across the seas, the natural beauty of Halong Bay is what you don’t want to miss. Board a cruise trip taking you to multiple unique karsts and isles. Many activities are readily available on the bay including swimming, kayaking, scuba diving, squid fishing, cycling, etc. Do you need to unwind? Simply stay on top of a cruise ship or by a sandy beach and get your generous dose of vitamin D while a tasty, locally-sourced meal is served. It is absolutely a heaven for any sun worshipper. This is a destination for those who seek out to explore a beautiful but often hidden site of Vietnam – its spiritual practice. No roads lead to the complex, instead, small rowboats take tourists to pass several Buddhist temples until they arrive at the base of the main complex. 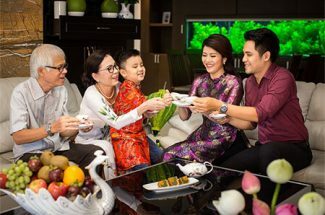 Spend a day in your Northern Vietnam tour to explore the complex and you will get an insider look to the intangle factors that shape Vietnamese people’s way of living for thousands of years. Get in a small boat and admire the skills of the boatmen while indulging in the stunning landscapes of lush rice field and breathtaking mountain backgrounds. Within a valley lies the sleepy town of Mai Chau. It provides some idyllic rural view that eases your sense. Whites and Black Thai people are the biggest ethnic groups in this region who build and live in wooden stilt houses. Tourists can rent a motorbike or a bike to ride through the green rice fields, rural villages, local markets and immerse yourself in a peaceful life. 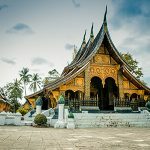 When the night falls, you will have a chance to try a local dinner placed on a banana leaf, take a traditional dance with your fellow travelers and the locals before taking an overnight in a stilt house. The best time to visit Mai Chau is from October to April when the weather is neither too hot or too cold. As the Northern-most province of Vietnam, Ha Giang proudly serves as a gateway to discover the culture of North Vietnam in its finest and most authentic state, where the Chinese element is pronounced through its cuisine, language, and architect. This destination preserves some of the traditions that almost go obsolete in modern-day Vietnam like tooth-blackening. Men making corn-brewed wine, mothers with babies balanced on their backs harvesting rice, children carrying goods in heavy bamboo baskets making their ways to a weekly market, all dressed in distinctive colorful clothes. A lot of interesting things to observe, experience and admire along with your journey in Ha Giang, making your trip to Northern Vietnam more fascinating. This untouched destination is also an adventure junkies’ paradise overflowing with pristine jungles and expansive mountain ranges. Ha Giang is home to one of the most iconic and dangerous riding routes of Vietnam, swear by generations of daring travelers. Riding along the steep and windy roads to win the feeling of mastering the mountains is an unforgettable experience for those who want to challenge themselves. Only two hours of driving from Hanoi, Ninh Binh is a destination that visitors should not miss out in your itinerary to Northern Vietnam. 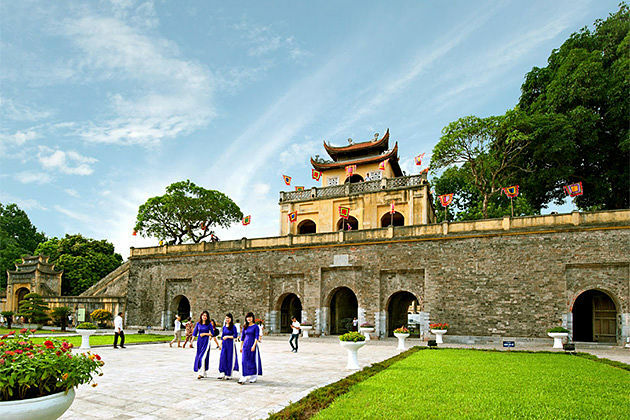 Once the ancient capital of Vietnam, under the Dinh Dynasty between 986 and 980 AD, the province witnessed many historical events of Vietnam and the historical traces and stories have been preserved in pagodas, temples, mountain, river, etc. 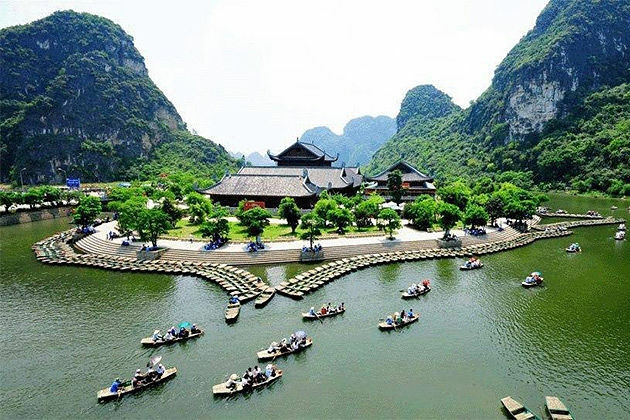 Also, Ninh Binh has various charming natural destinations, of which is Tam Coc – Bich Dong complex with many mysterious caves such as Tien Cave, Bich Dong grotto, But cave, etc. The stalactites were made due to the transformation of geology, seawater and rainwater naturally. Thus, Tam Coc is considered the terrestrial Halong Bay. Besides, tourists can visit Cuc Phuong National Park to admire imposing nature and explore diversified species of animals and plants. 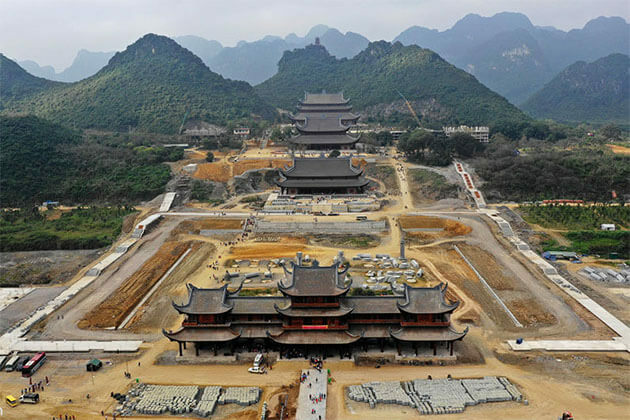 Your tour to Northern Vietnam with a stop in Ninh Binh can take you Hoa Lu, which was the old capital of Vietnam, to discover the ancient architecture and listen to historical stories behind.